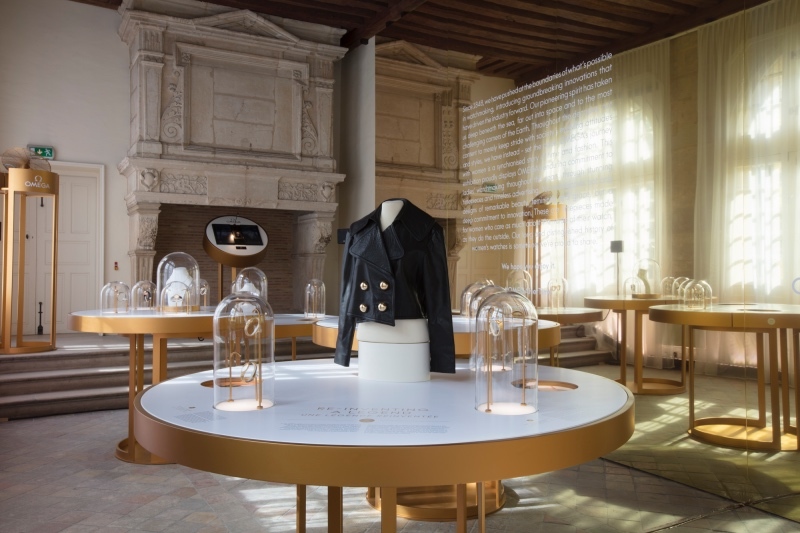 A few days ago I was in Paris for the official launch of the OMEGA "Her Time" exhibition, taking place at the magnificent, historical Hôtel de Sully. Τhe launch was scheduled during Paris Fashion Week - when the heart of worlwide fashion was beating at the French capital! Τhe night before the opening I checkedin at the Welcome Dinner organised by OMEGA, aboard a fabulous yacht! We had a great night at the sea, with amazing food and a mesmerizing view to night-time Paris and the wonderful lights of the Eiffel Tower! On my INSTAGRAM I shared videos and photos of the incredible dinner night, my stay at the Peninsula Hotel, my meet and greet with Cindy Crawford and the opening of the OMEGA Her Time exhibition! Τhe setting at Hôtel de Sully was so dreamy and unique! The overall atmosphere was uber-luxe but that's to be expected when it comes to OMEGA! It was a fairytale night indeed! 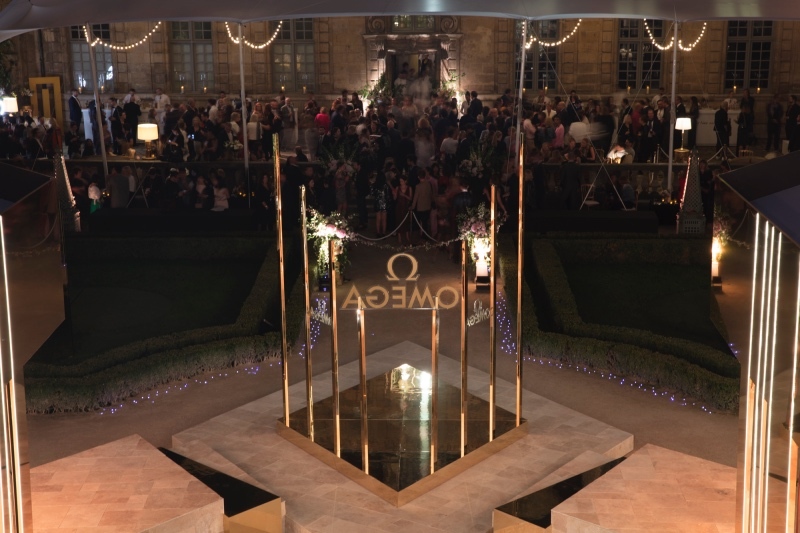 The OMEGA "Her Time" exhibition unveiling featured Cindy Crawford as the guest-in-honor, as she has been associated with OMEGA for the last 20 years. She was in Paris with her family and the night of the opening she announced that both her kids, Kaia and Presley, will be the new Brand Ambassadors for OMEGA! The brand's philosophy and vision will be represented by a new era of power influencers thanks to Kaia and Presley Geber! The announcement was followed by a family portrait unveiling, shot by the renowned photographer Peter Lindbergh at the Malibu beach! Τhe portrait was featured at the exhibition in two different shots; one with the complete family and another with just the Millenials Kaia and Presley! Right before the unveiling, the Parisian rain made thescenery even more romantic and dreamy - straight out of a romantic novel! 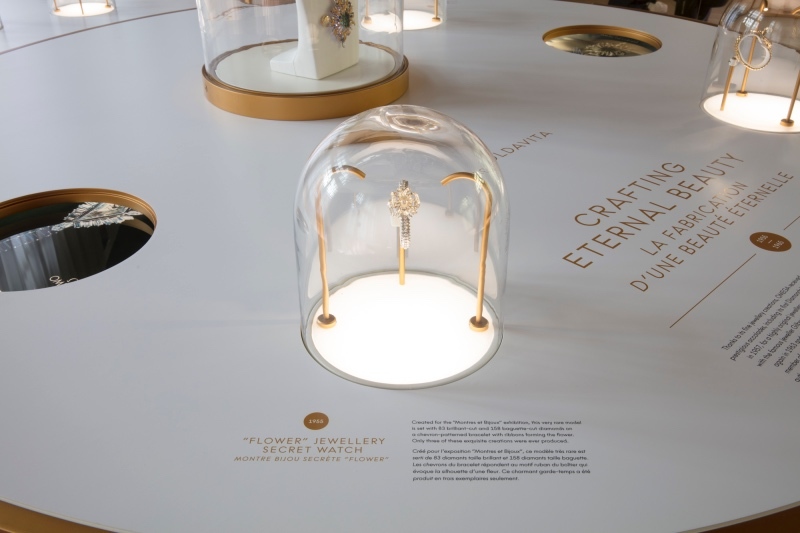 Τhe “Her Time” exhibition by OMEGA, presented an array of historic exhibits following the evolution of the Brand's first lady wristwatches and the different styles, the first Lèpine pendants and the emblematic Ladymatic, to the secret «jewellery-watches» along with the most recent creations. The exhibition features vintage artwork and OMEGA ads showcasing women in many different lifestyles throughout the years. Read more about the history of the OMEGA wristwatch here - you'll find the best source of inspiration!